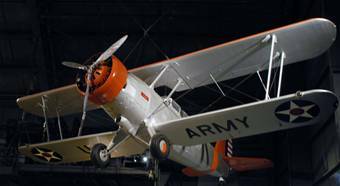 Dimensions 40' by 32' by 13'6"
The O-38 observation biplane was widely used during the 1930s and was one of the first aircraft assigned to Alaska. However, it was obsolete by the time of the Pacific War. A few were still in service for training purposes with 115 Observation Squadron at Salinas Field.